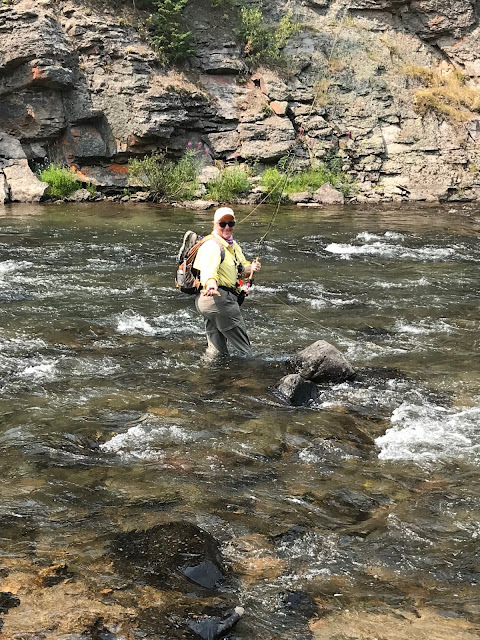 Here's my wife Michelle standing in some very fast water, making a series of long casts to slack water near the rock face. She is casting over the fast water, then high sticking it and landing a fish. Yeah, she's good. Thanks Alan.... she's a natural.... a wonderful fishing partner. Moments to share. The best part of life. Making dubbing 101 a step-by-step by Doug Korn. Making dubbing from yarn is easy using a coffee grinder. Buy one just for making dubbing, they are cheap, about $15. Experiment with different yarns yourself to find the right color, texture and float-ability desired for your fly tying needs. Today's goal is to make an orange sulphur dubbing for dry flies. I use a 12 inch board to measure my "parts". I cut one part of orange yarn and ten parts yellow. Then, cut the 11 pieces of yarn in 3/4 inch lengths or "bundles". Keep the 3/4 inch bundles nicely lined up so that they can be added to the coffee grinder in the proper 1 to 10 ratio. You will end up with about 15-16 bundles. Add 3-4 bundles at one time to the grinder. Turn it on and run it for about 20 seconds. Grinding times will vary depending on your wool and the volume of yarn in the grinder. This fly is a great all-round Caddis Fly imitation as-well-as; Stone Fly, Golden Stone and Yellow Sally. Just change the colors of the thread, foam and hackle. Yep - this is my last post on blogger..... There's just not enough participation on my blog to keep it going. I post the same material on Facebook so you can follow me there if you like, that's where all my future posts will be. Just look up Doug Korn on Facebook. I will also be discontinuing my blog reader, as most of the folks I follow are on Facebook and I will read and respond there. 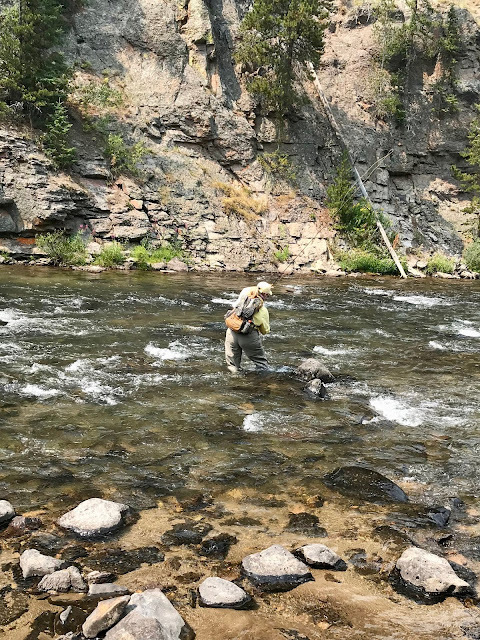 I will leave my "On the Fly" blog up for now but I will not add any more content. My thanks for all of you that have followed my blog and commented. I will have many more projects and posts to come over on Facebook, see ya there. The great outdoors have always been a driving force in my life. I stumbled into fly fishing by going to a fly tying demonstration and was totally captivated by it. It wasn’t long before I was casting and presenting my own hand tied flies to the local brown trout. These days you’ll find me fly fishing our inland trout streams and tributaries in my home state of New York or in Yellowstone Country. 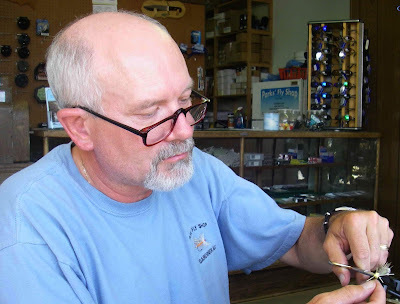 I enjoy both the artistic skills of fly tying as well as the technical challenges of bringing the fish to hand. 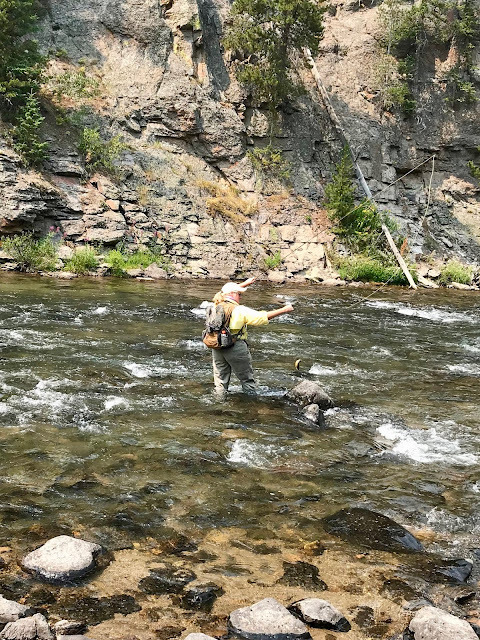 Fly fishing Yellowstone National Park and it’s surrounding waters has long been a dream of mine, not wanting to just visit the area but to find a way to truly participate and experience it through fly fishing. As a past fly fishing guide and fly tyer for Parks’ Fly Shop in Gardiner Montana, I have found the pathway to realize my dream. 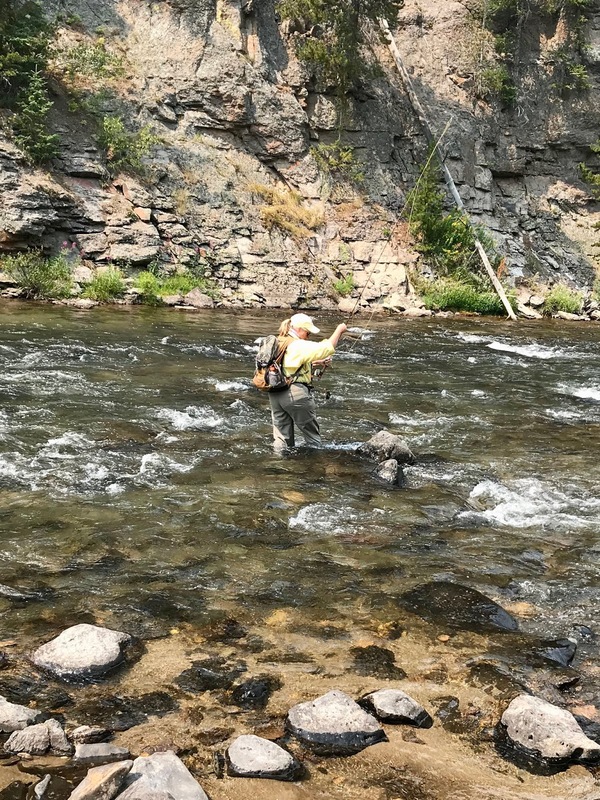 Lava Creek Trail - Hike and fish, solo..
Ben Turpin bamboo fly rod. Trumpet turkey call for sale.